And this is why no one should ever weep for Germany because of the destruction that was visited upon her. Her armies marched and gave the world scorched earth, and when the Allies rallied, scorched earth was delivered to her. At least the generations after the war have done much to amend for it, and they’ve succeeded in reestablishing themselves as a normal and productive Western nation. 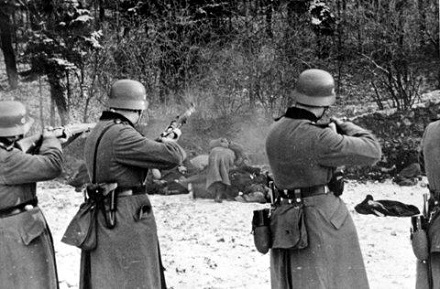 But from 1933 until the last shot was fired in 1945, it was pure evil.